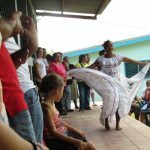 In the winter of 2009, Missions of Grace partnered with Wayne State University (WHSO) – World Health Student Organization, Detroit, Michigan, to hold medical clinics in rural villages near Rivas, Nicaragua. of an oxcart because he was in so much pain. Upon examination, the doctor became very concerned. This was not anything that could be treated in this rural setting (we held the clinic in the local school – no electricity). The nearest hospital was three hours away – by car. 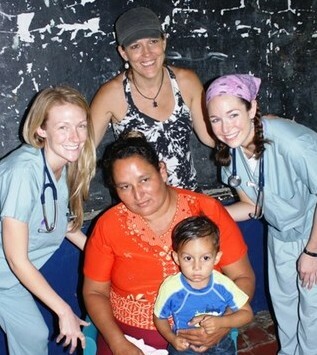 So, MOG Director, Cheri Mauldin, and a few medical students borrowed a truck and they were on their way. 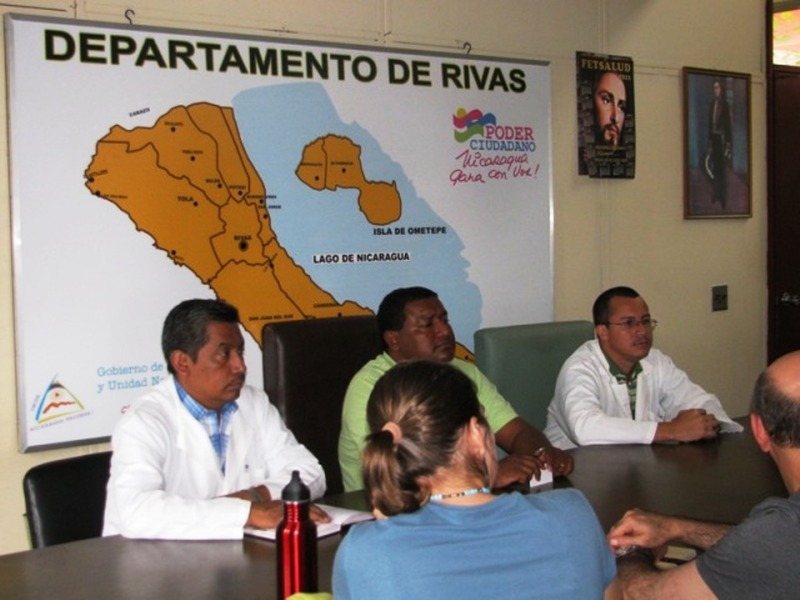 Upon arriving at the hospital, it was discovered that there was no ultrasound machine in the hospital; and the only solution was to utilize a nearby, private, but expensive clinic. In the end, the man was helped, thank God, but not until he had to travel, leave work and his family and spend money that he did not have. 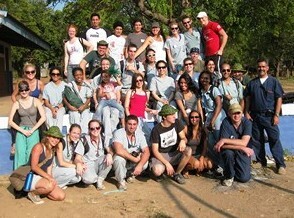 This harrowing experience planted a seed in the hearts of Missions of Grace. 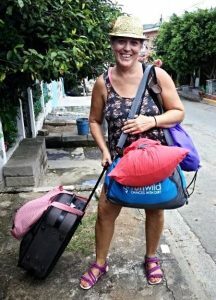 The next December, Alberta Spreafico traveled with the WHSO team when they returned for their third year of clinics with MOG. Alberta works with the Henry Ford Health System in Detroit and with WINFOCUS – the World Interactive Network Focused on Critical Ultrasound, based in Milan, Italy. 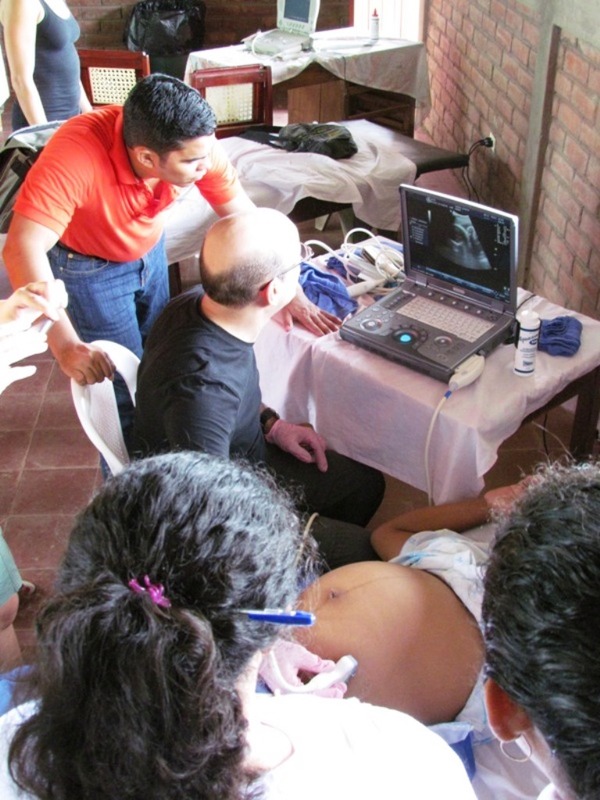 Has developed the means to train non-physicians and non-specialized medical personnel to use the ultrasound to obtain quality images and perform prime medical evaluations and triage clinical cases accordingly. 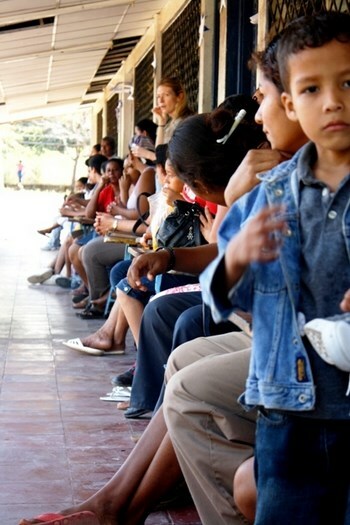 Key to MOG in Nicaragua, tele-medical capabilities have also been established in order to offer long-distance support so that local personnel can also have access to immediate medical advice and remote guidance from medical professionals in the United States. 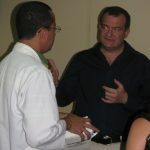 These techniques have been developed and refined through a long-term partnership with NASA that saw Dr. Dulchavsky – chairman of HFHS department of surgery – train and assist astronauts to use the ultrasound and be able to take full advantage of its diagnostic capabilities through remotely guided exams. hospital and in-hospital critical scenarios. 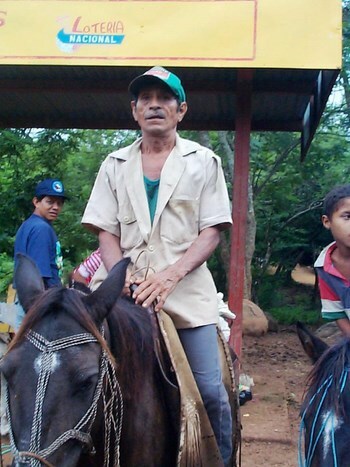 Prior attention is given to resource-scarce, disadvantaged communities and developing countries. Has a presence in 50 countries. 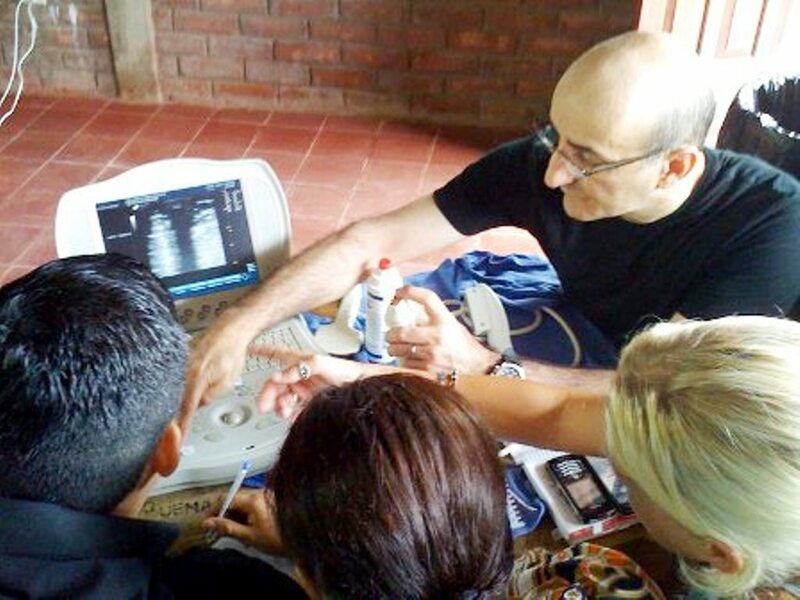 Has trained more than 30,000 people in emergency medicine and primary care to perform ultrasound procedure. This was no doubt one of those ‘God-incidences’. 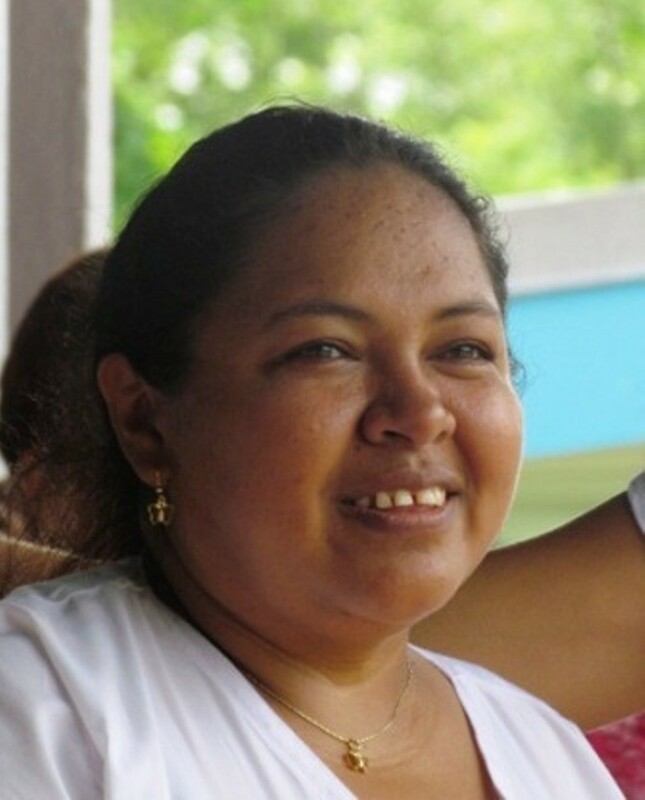 Alberta became a good friend and has worked hard on our behalf – she believes in MOG and what MOG is doing. Below: Alberta gives a TEDx Talk about Tele-medicine; including talking about Nicaragua, a good sign for MOG. 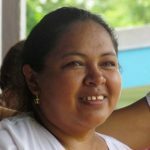 With Missions of Grace accepted into the WINFOCUS program, the date was set for the initial Training Conference – July, 2011; to be held at the Nicaraguan locale selected by MOG. 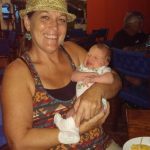 It was five very demanding months of preparation leading up to the Conference, headed up by Cheri Mauldin, MOG Founder and Director. 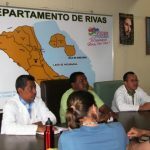 She started at the grass roots level, with the project written and presented to the Indigenous Leaders and to Martha Romero (head of the local health post) of Las Salinas de Nagualapa de Rivas. (See “Two Great Resources” – why we selected Las Salinas). “I wanted the community where we installed the model project to take ownership.” Cheri emphasized. And the good news — they did! Cheri and her team also presented the project to the Ministry of Health (MINSA) at the regional level and then to the national headquarters. There was much paperwork but it was approved all the way around. 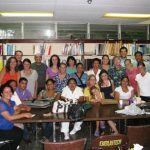 So, in July, 2011, an incredible team including doctors from NASA, Henry Ford and WINFOCUS arrived in Nicaragua and MOG was there to meet them. 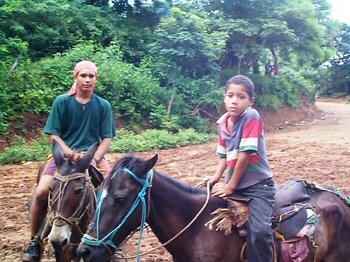 Everyone traveled to the rural town of Las Salinas de Nagualapa, Rivas. 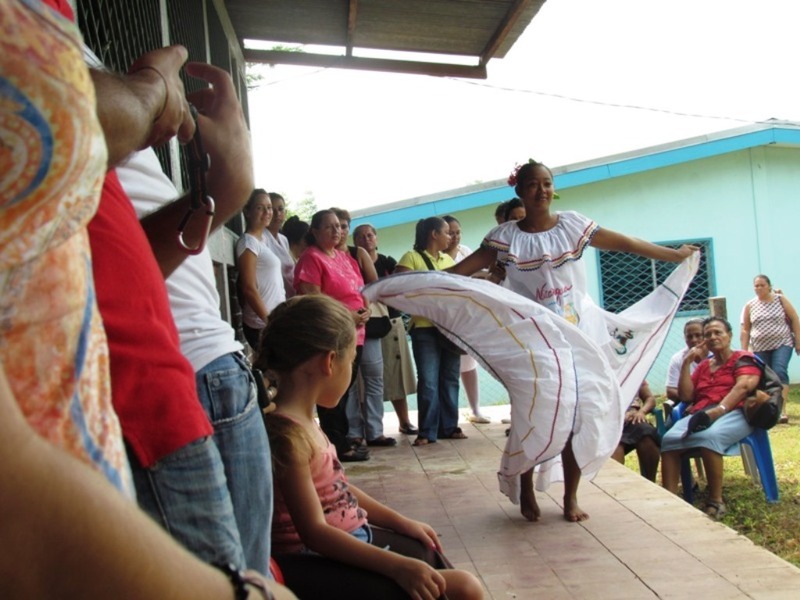 The community was there to greet them with a ceremony and traditional dancing. 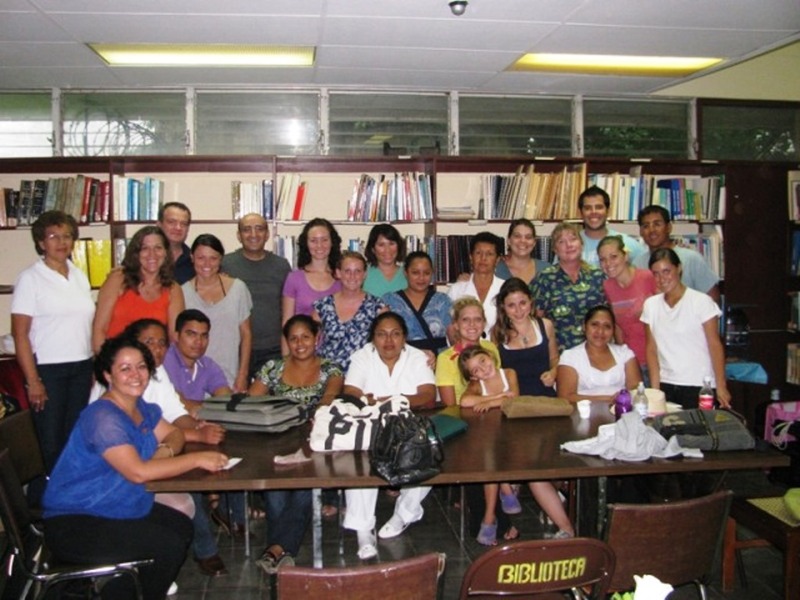 They also cooked and served all the meals – delicious Nicaraguan food. What a wonderful welcome! 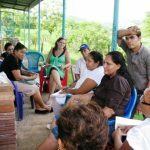 Attending the conference were the local medical personnel who were selected to be a part of this exciting project, along with MINSA (Nicaraguan Ministry of Health), the Indigenous Community Leaders and the MOG team which included Nicaraguan volunteer translators. 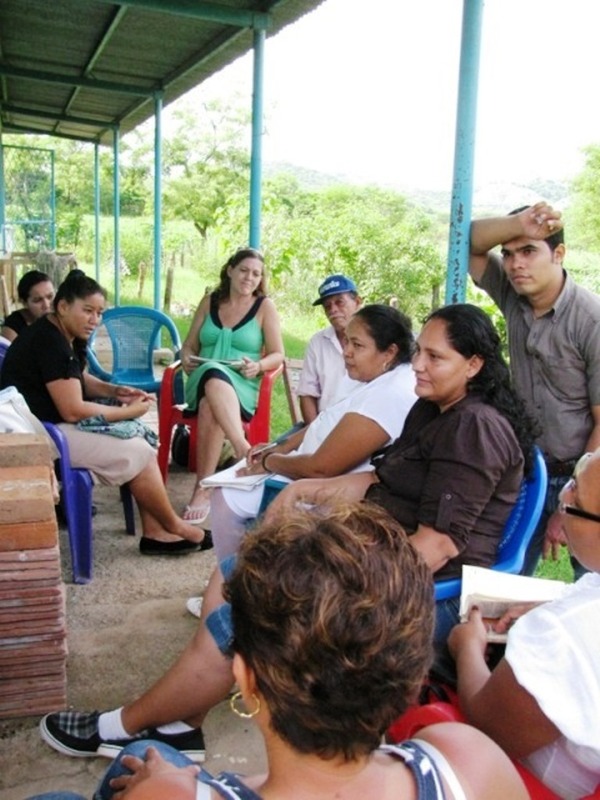 Phase One of the Project was agreed by all to be developed in the community of Las Salinas de Nagualapa, Nicaragua. 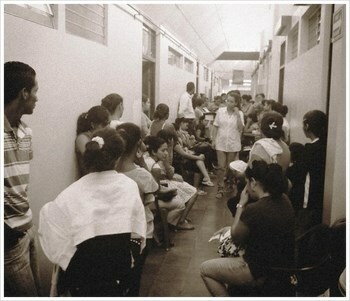 The first step was to equip the health post with an ultrasound machine, which the WINFOCUS/HDHS team brought and donated. 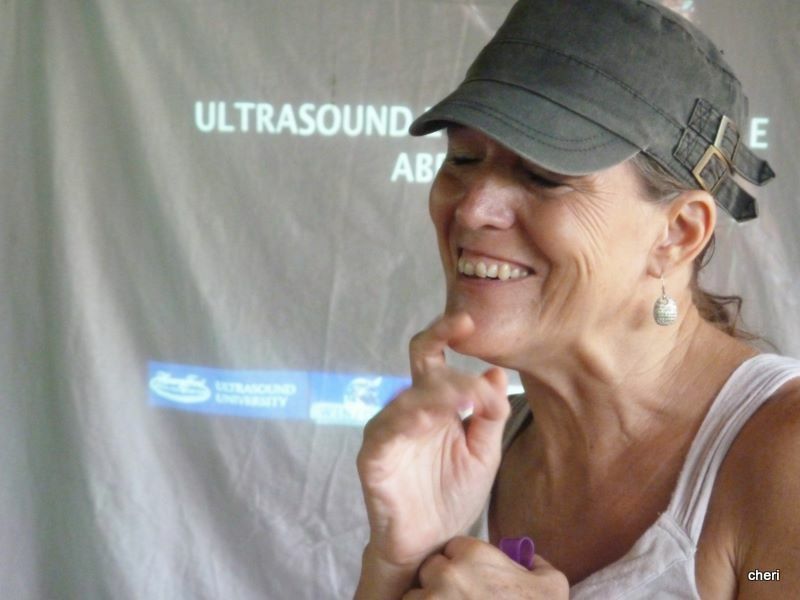 Once so equipped, the next step was to empower local nurses with the knowledge and skills needed to take full advantage of the ultrasound diagnostic capabilities and that is what transpired at the Conference. 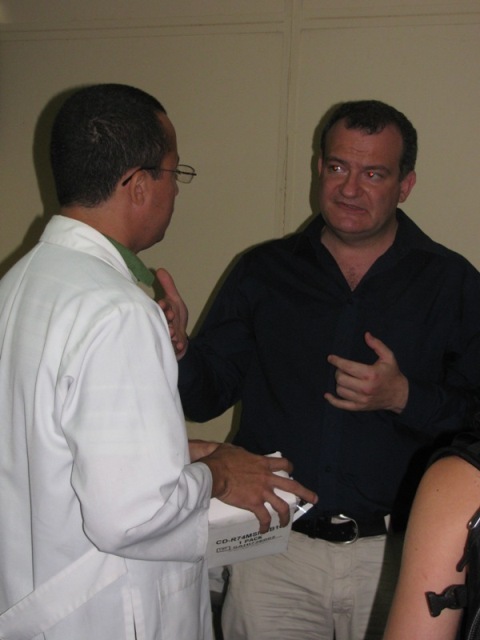 The training was performed by a team of HFHS doctors during a one-week long education program. 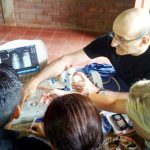 The education included brief lectures with great visual aids, as well as extensive hands on training and testing. 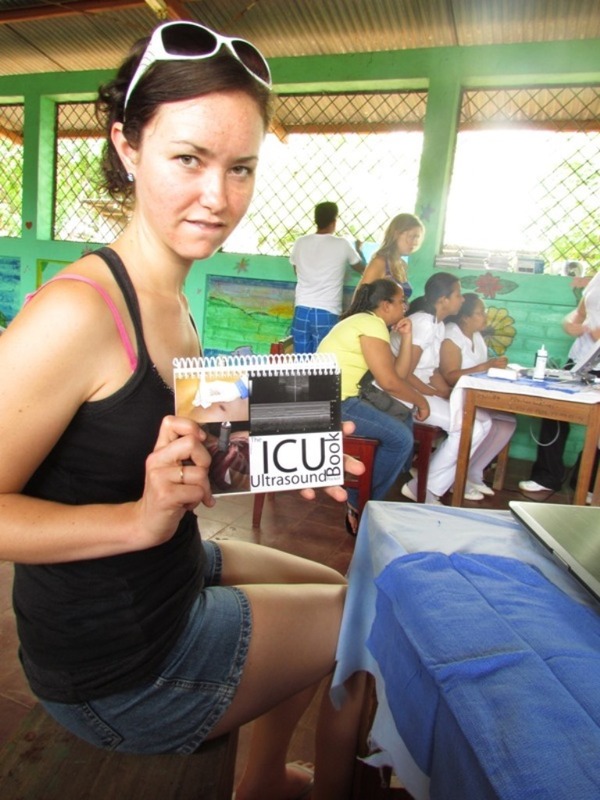 Education cue cards and a reference manual were left with the nurses also enabling long-term reference. Read on – Get Inspired! Join us for “Phase Two” – the exciting future!